Disasters can strike in many forms, and cause both physical and emotional damage. Most broadcast organizations don’t have a disaster recovery plan in place until after they need one, which can increase the amount of damage a disaster causes. When it comes to broadcast, the majority of time is spent creating, managing, and delivering content, so making a plan to protect it gets pushed to the back of the line—which may be too late. Let’s explore why disaster recovery is essential in broadcast and what a disaster recovery plan should include. In broadcast, disasters can come at any time, and in many forms. For example, natural disasters can leave broadcast data centers without power for days, fires can destroy server rooms, and human error can potentially delete terabytes of files—permanently. While these examples may vary in scale, they all have major consequences for broadcasters. 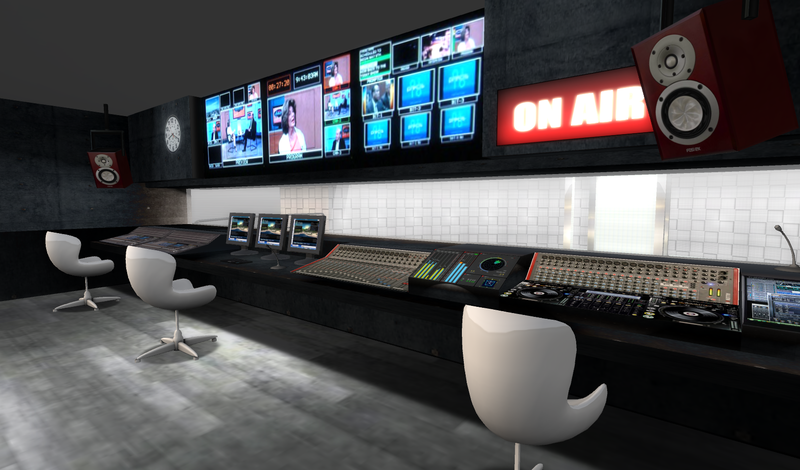 How can employees in the broadcast industry avoid consequences from disasters? The answer is simple—have a detailed disaster plan and a business continuity plan in place. While a business continuity plan is similar to a disaster recovery plan, they do have differences. A business continuity plan ensures a business can continue to provide services to customers while experiencing any sort of disruption compared to their normal operations. Also, a business continuity plan is more often than not referring to a business centric document that identifies internal and external risk, along with a strategy to eliminate those risks. Disaster recovery plans are more detailed than business continuity plans. And in today’s data essential marketplace, disaster recovery plans not only focus on the steps to take during and immediately following a disaster, they also focus on protecting organizational data. One way recovery plans do this is by adding redundancy and spare capacity in IT systems. But there are also other steps in creating a successful disaster recovery plan. The first thing your plan should include is information about your organization’s hardware and software inventory. Each piece of hardware and software your broadcast organization is utilizing should have the correct and current vendor contract and contact information. Having the correct hardware and software information ensures your organization can get back up and running as quickly as possible in the case of a disaster. Another important part to any successful disaster recovery plan is identifying your organization’s tolerance for data loss. For example, different industries can go longer without the use of servers or technology than others. Examining your organization’s specific server needs will allow you to craft a disaster recovery plan that is complementary to your broadcast needs. Having a communication plan that details who is responsible for what in the case of an emergency is also an important part when planning for disaster recovery. Streamline communication can save precious time, helping your organization become operational again as soon as possible. Also, by letting employees know who is responsible for certain tasks during a disaster recovery plan, your organization ensures all employees are working towards the common goal of getting the business up and operating again. An important part of the communication plan built into your disaster recovery plan should include a protocol regarding the handling of sensitive information. When a disaster recovery plan is initiated, having guidelines about the handling of sensitive information can save your broadcast organization from another disaster in and of itself. To make sure your disaster recovery plan is efficient and effective, it’s vital to test your plan regularly. Testing your plan not only ensures all facets are working properly, but it can also identify areas of the plan that need tweaked, improved, or completely changed. Disaster recovery plans are extremely important in protecting your broadcast organization and the people it serves. A business continuity plan that coincides with a disaster recovery plan is essential. Ensuring up to date information about the hardware and software your organization is using, identifying your specific broadcast capacity for server loss, implementing a communication plan that includes the handling of sensitive information, and testing your plan regularly, will ensure your organization’s disaster recovery plan is as effective as possible. At HB Communications, we specialize in solutions for comprehensive disaster recovery to protect your content and your business. We'd love to talk to you about your broadcast disaster recovery needs and how we can help you create the perfect plan.